I belonged to a book club many years ago. There were about 7 of us and each month one of us would pick the book and host the dinner/discussion. The club dissolved with my friend Helen’s quick and very unexpected passing. Without Helen (whose book choices the rest of us always questioned) it was just too hard to regain momentum. Skip forward several years and one of the original book club members decided to revive it but with a slightly different cast of characters. After much debate a book (My Brilliant Friend) and a date for the meeting was chosen. I confess that, as is/was usually the case, I put off reading the book until the last minute. Three days before the meeting I started reading – and I’m happy to report I finished it with 2 hours to spare. The dinner was to be at the organizer’s home and then, of the seven reading the book, only 3 of us (host + me + 1 other) made it to the discussion/dinner. 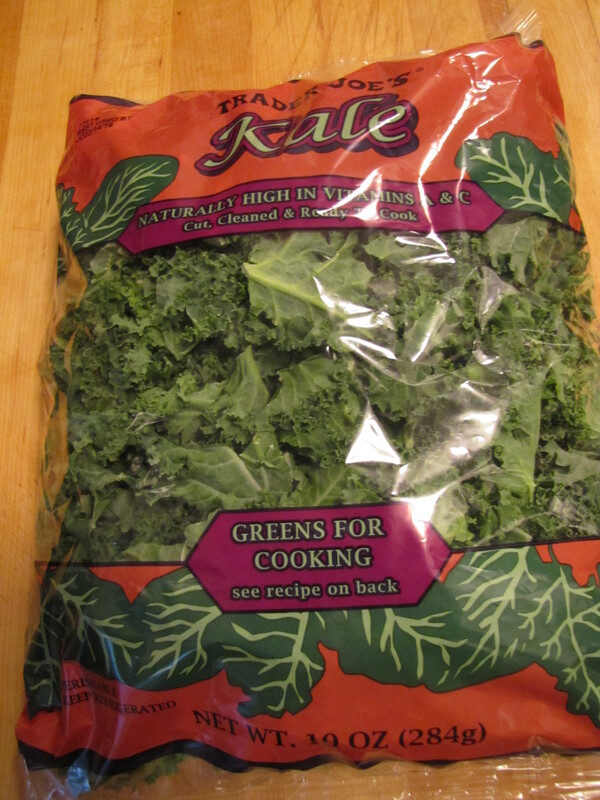 The recipes at both sites use Parmesan style cheese which, being paleo, I omitted. They both make really big batches (Bon Appetit serves 8 to 10 and Once Upon a Chef serves 6 to 8) and I wanted a more normal sized yield (mine serves 4 to 6). Proportionally, they both used more dressing, but I honestly feel the amount here is PLENTY! And, I went with the Bon Appetit choice of almonds rather than walnuts. 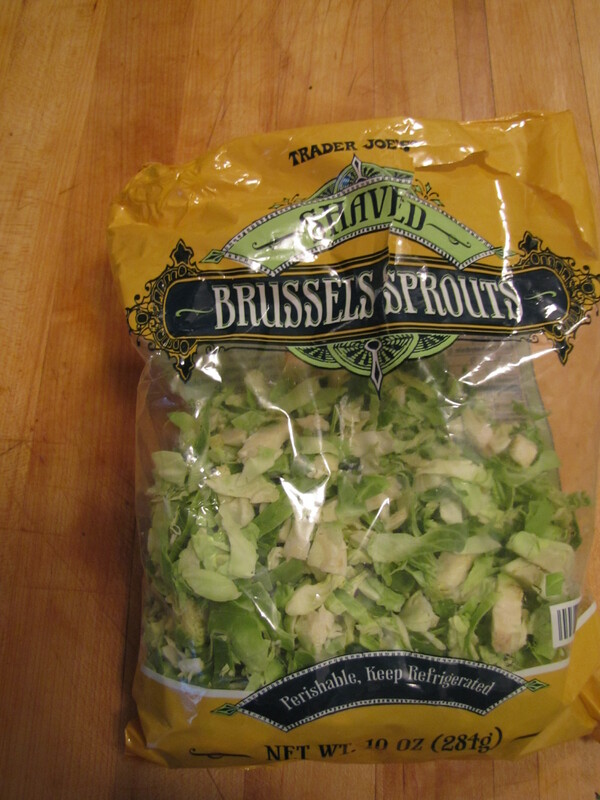 It’s easy to prepare – I found already shaves Brussels Spouts and washed and chopped kale at Trader Joe’s, making this salad a snap to make. 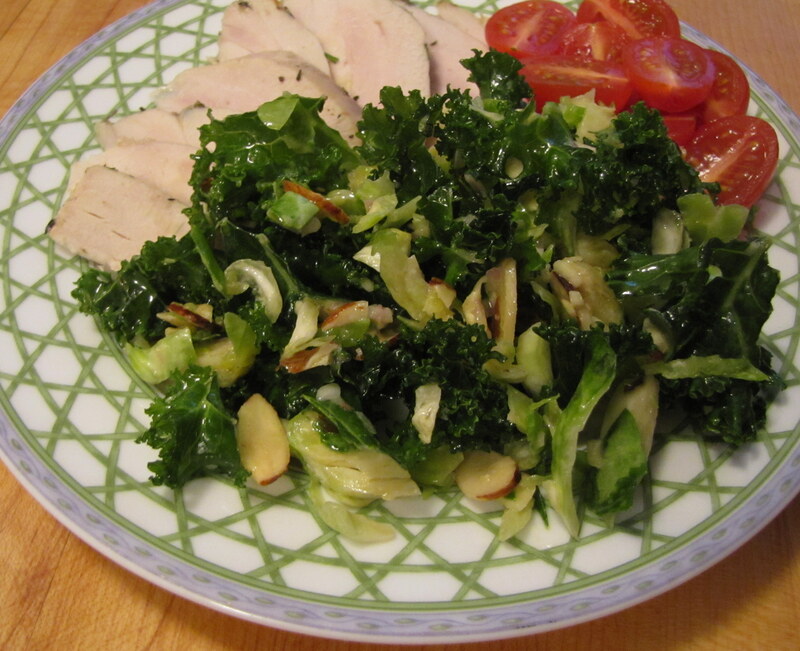 Hope this becomes your most favorite new salad too! Enjoy! The recipe my friend served had walnuts, I think toasted hazelnuts would be great in here and if you eat dairy, some shaved Parmesan would be nice too.. 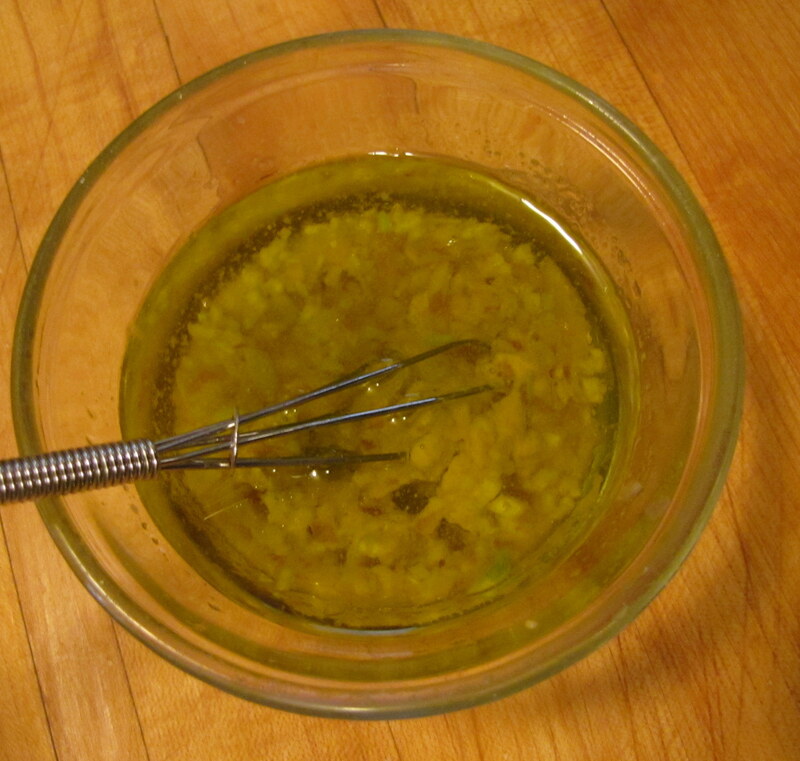 In a small bowl, whisk together the oil, lemon juice, shallots, mustard, garlic, salt and pepper. 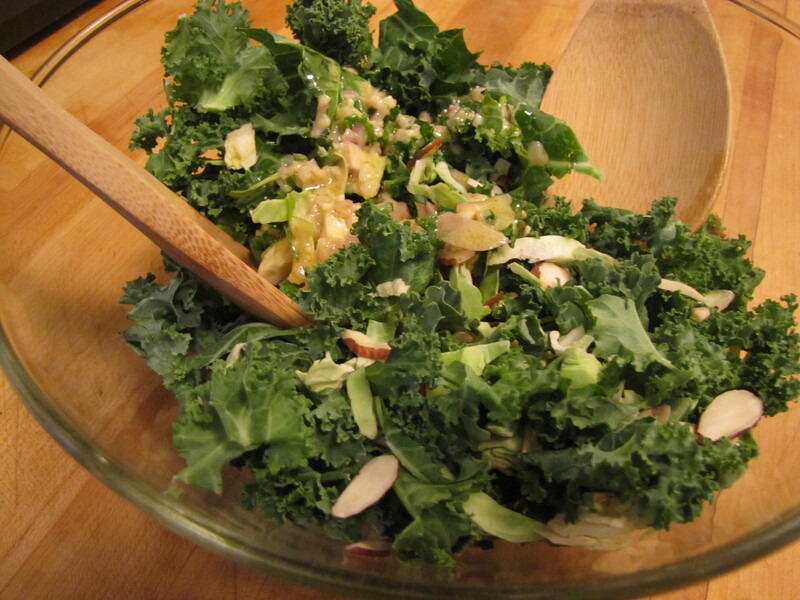 In a large bowl, combine the Brussels sprouts, kale, and almonds. 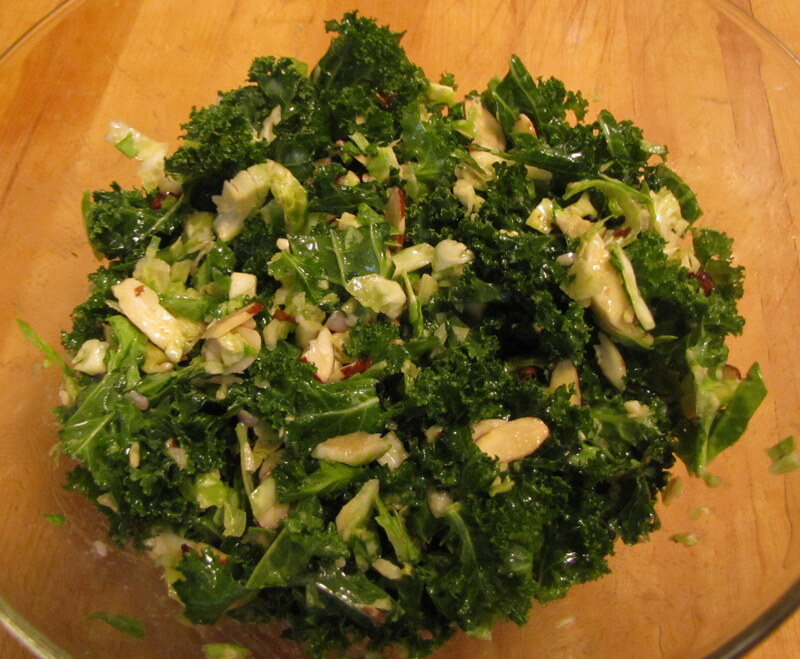 Pour dressing over salad and toss. 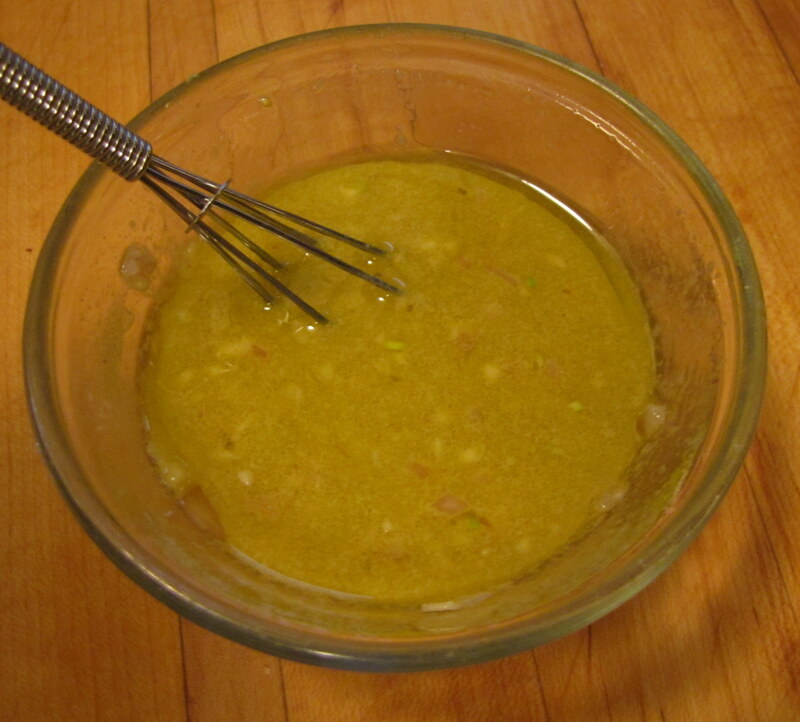 Let stand at least 30 minute to allow the flavors to meld.